1. High brightness. Use DIP LEDs, keeps the display content visible even if facing the strong sunshine directly. 2. With Anti-UV ray mask, the color of the mask would never change even if under exposure of UV ray. 3. Waterproof design, completely outdoor use. 4. Easy for assembling and connection with the connector added. 5. High color uniformity and clear image can bring you a vivid audio visual effect. 6. Both front and rear access are available. 7. Good LED Chips, with large viewing angle, lowe power consumption and good color uniformity. 9. 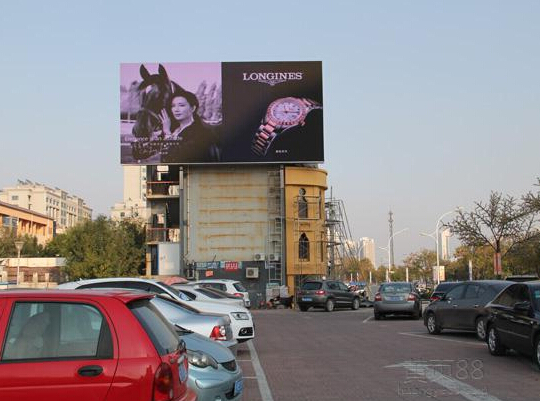 Good quality raw material, accurate technique and careful inspection insures the high quality of led display.